Looks very cozy. I need a nap. Way cool. I have been there! What a great place. Rock on. Looks a little like my cat. It amazes me how many 6 toe cats are at the Hemmingway House! i think the cat is related to mine…. This cutie looks a lot like my mother’s cat Rowdy. They even sleep the say way, although Rowdy isn’t lucky enough to have six toes. Awww…so adorable! So gonna reblog! I am hopefully going to get Matt’s picture to my facebook, because I think Hemingway regarded the 6 toed cats as a metaphor for his own health problems and his personality. His house in the Florida Keys is reveals much about the lone soldier. Loved my visit there, the six toed cats are the cutest!! Shared it on FB. Your photos provide a mini mind vacation I get to take back to FL. Thanks for sharing. BTW, I love Able. Hope you make it available for download soon. i love cats so much! This guy is so cute I couldn’t say no to reblogging. MY GOD… ZZZZZZZZZZZZZZZZZZZZZZZZZ RSRSRS BEAUTIFULL.. 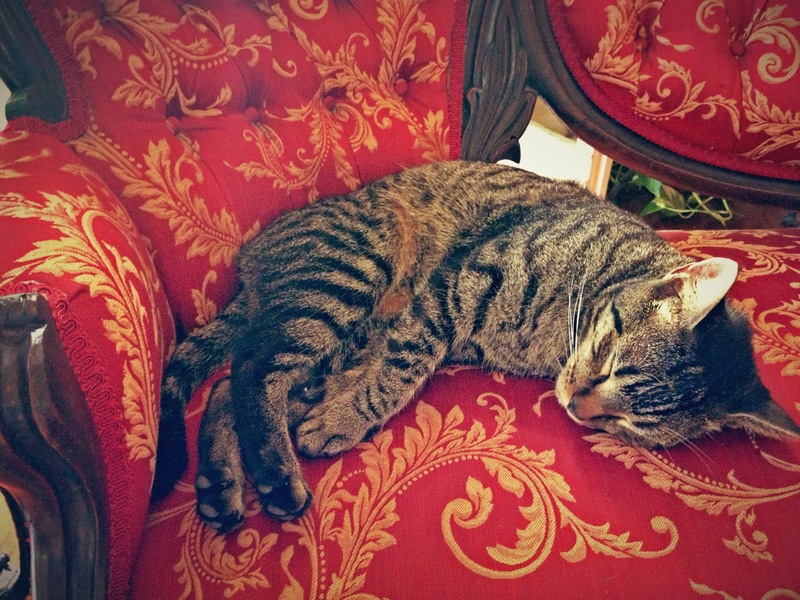 I remember the Hemingway house and these six-toed kitties from Must Love Cats… so precious! hmm,it looks cool…must be delicious!!!! That cat sure looks like it has a nice bed! Reblogged this on ❤blog shock❤. Animals and babies are always winning subjects. Love the chair and position of the kitty. What an adorable photograph. I have two cats at my Yisraela house. This cat however has no idea just how plush its life is. I just saw this for the 1st time today; what a cute kitty cat! (How do you know he has 6 toes, though)? He looks so relaxed, & what a fancy chair he’s sitting on! wow six toes! He looks so relaxed and I bet he was purring a lot! I want to cuddle him!!! How cute, he looks so relaxed! (Btw, where’s “Hemingway House”)? Is it where E Hemingway used to live? Lol, that probably sounded like a really silly question! This reminds me of my childhood…I had quite a few tabby cats when I was little! (Btw, what’s this cute kitty’s name)? I’ve just been visiting your blog for the first time. Like your photos very much. This one of a cat (six toes!) i’ve just reposted onto my FB timeline — love cats a lot! She/he is living a life of luxury, lol! Pampered sweet feline!